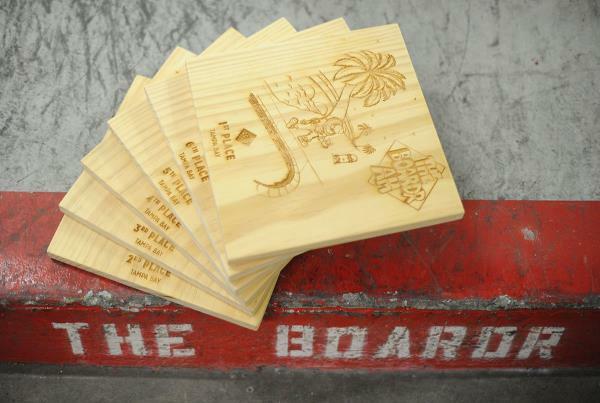 Casey's illustration is etched into the planks that are trophies for each stop of The Boardr Am. Jorge and I are early morning on site the day before. Iago Carrasco is here from Sao Paulo getting some early practice in. 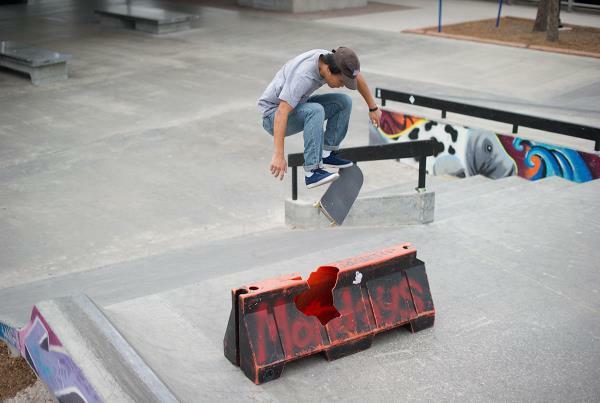 Brandon Martins on a nollie crook. Jamie Foy skated practice for a bit the day before. 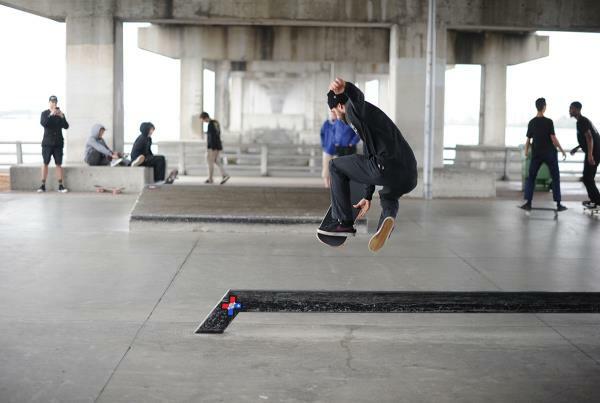 Yes, sometimes he falls off his skateboard, just not all that much in the Finals, which is how he won this stop. 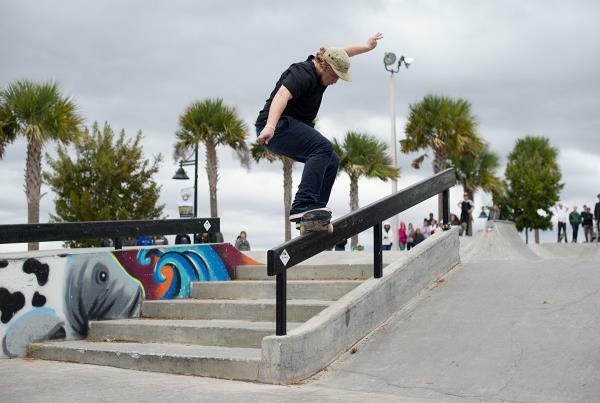 Jamie Foy on a backside tailslide. 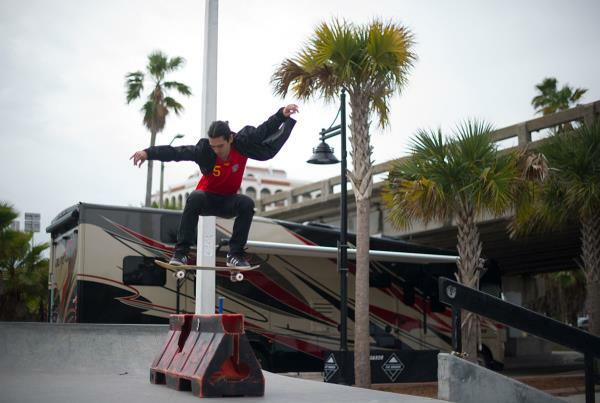 Iago on the always good looking frontside noseslide. John Purcell came down from Canada not just for the contest, but I'm sure for the Florida weather. 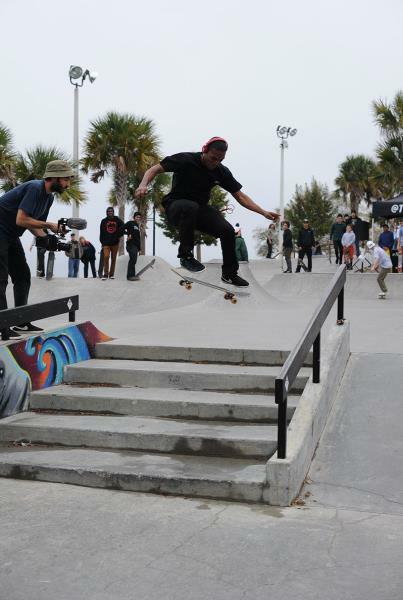 That's a front feeble. Julian Lewis is originally from Conneticut but recently moved to the Tampa Bay area. He impressed us all at this stop landing in 8th in the Semi-Finals. 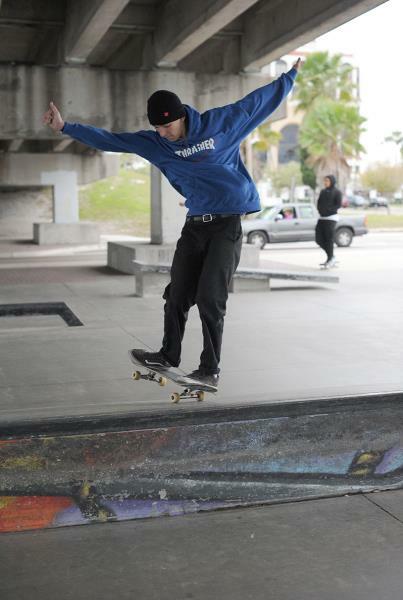 That's a front feeble. 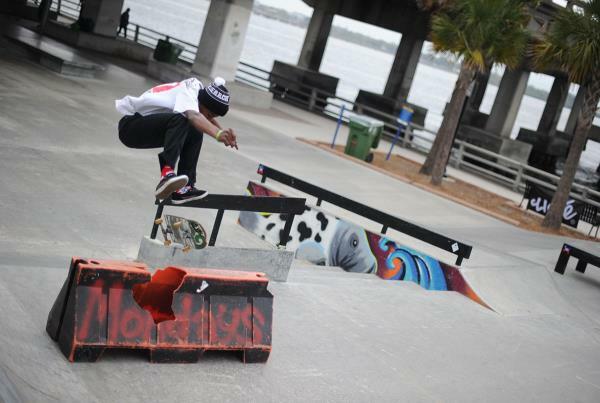 Julian Lewis on a frontside flip. 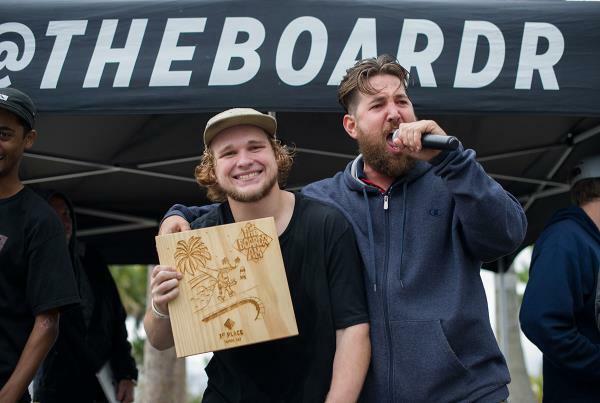 Alex Midler has been to all three of The Boardr Am stops so far. 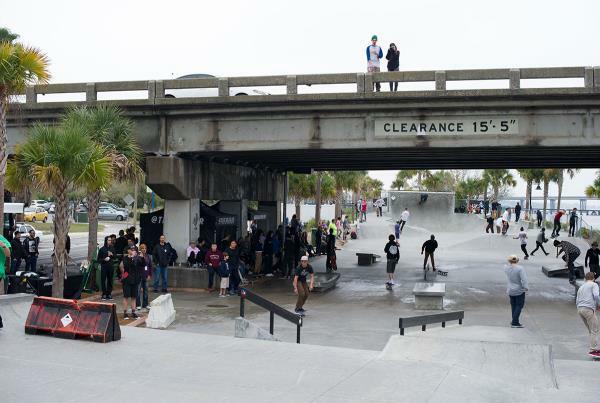 That's a kickflip over the bump to barrier. 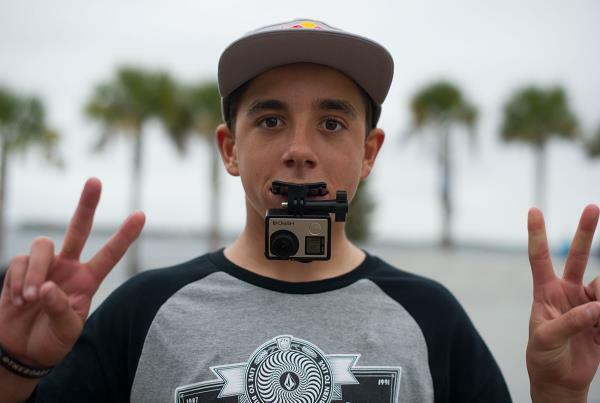 Alex stacks the GoPro footage with this special mouthpiece holder. Organized chilling in height order. Chuckie didn't skate it, but was there ripping. 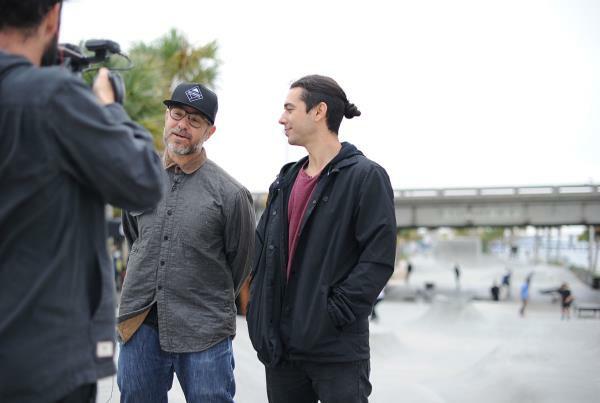 Watch for your hosts Jorge and Ryan on ESPN's World of X show on ABC recapping the first year of The Boardr Am Series. 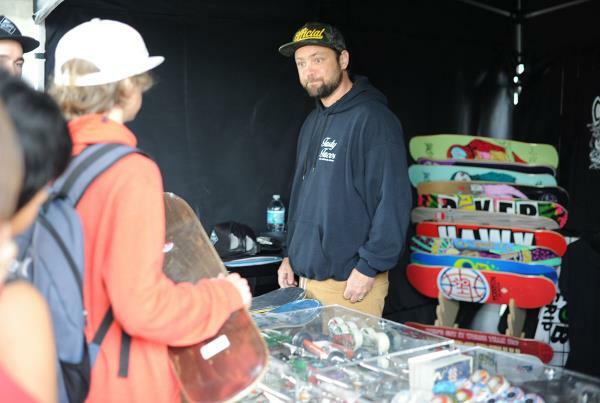 Justin runs The Boardr Pop Up Store. Marino's here with the whole SPoT crew. 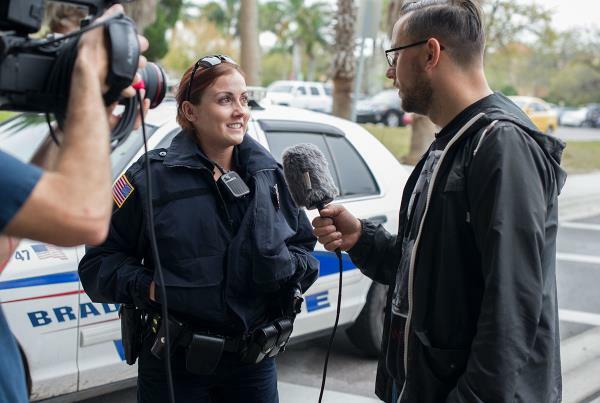 He's got my old job there behind the camera and looks to be going a damn good job with it. 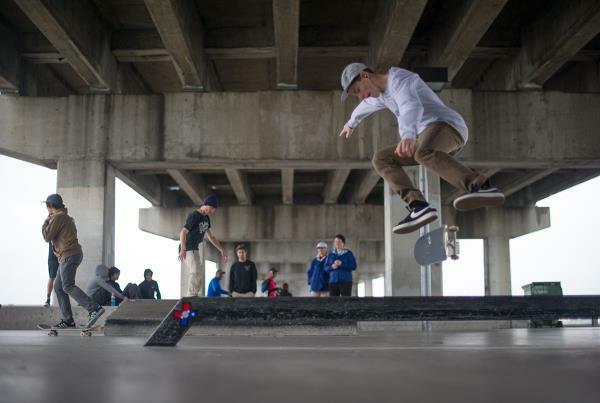 The session under the bridge got heated during rain delays. Take the headphones out, Jake. Well, at least he's not trying to 540 here. 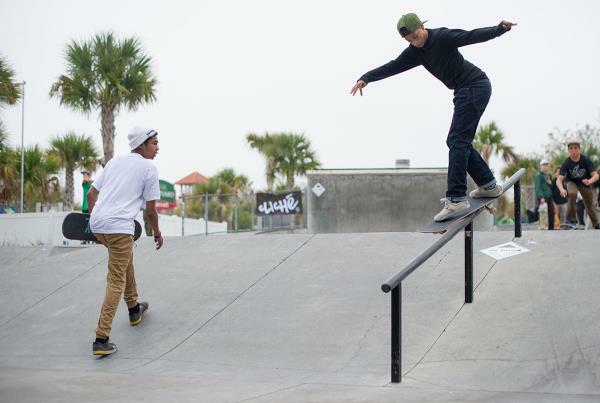 That's a backside flip. HiDefJoe on rain delay duty. 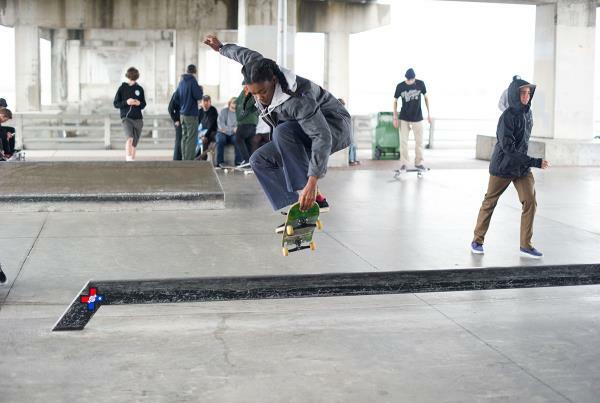 Beatrice Domond was the first female to skate one of The Boardr Ams. 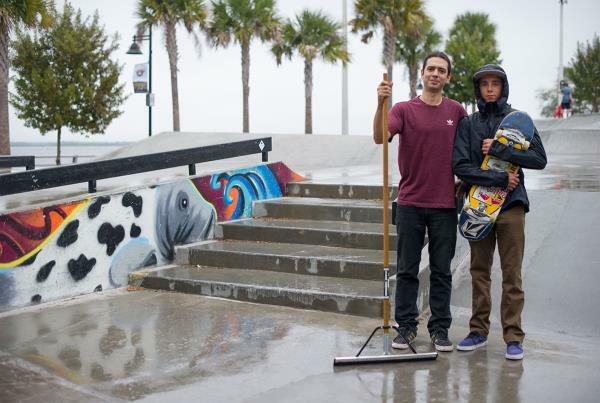 Jorge on water patrol and Alex on skate patrol. Keenan's here with his tight looking Willy grinds. 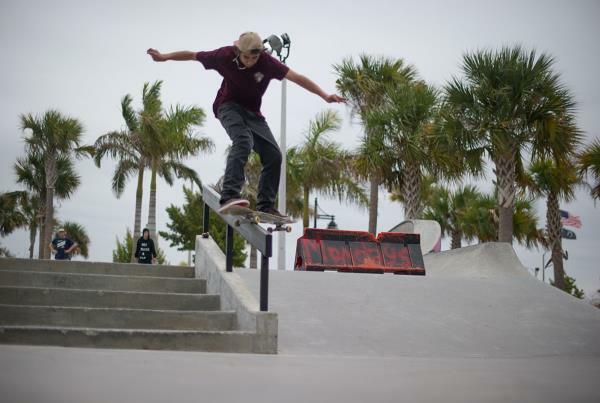 Marcos is going to frontside 180 out of this frontside feeble grind. 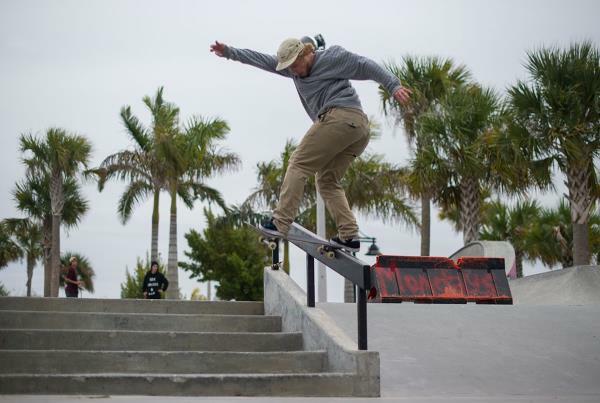 Jake Blue is a local that has grown up to be on of many great skateboarders from the Tampa Bay area. He made it to the Semi-Finals and got 17th. 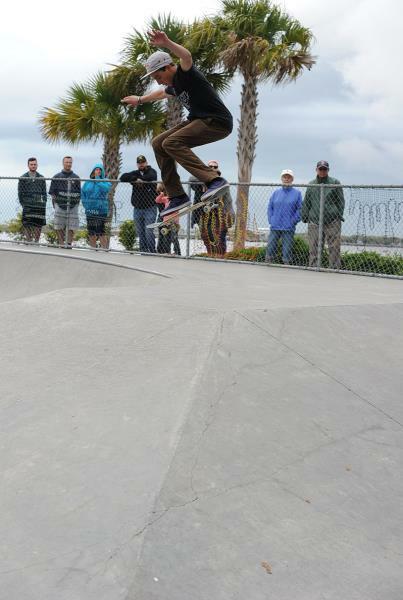 That's a feeble grind to frontside 180 out. 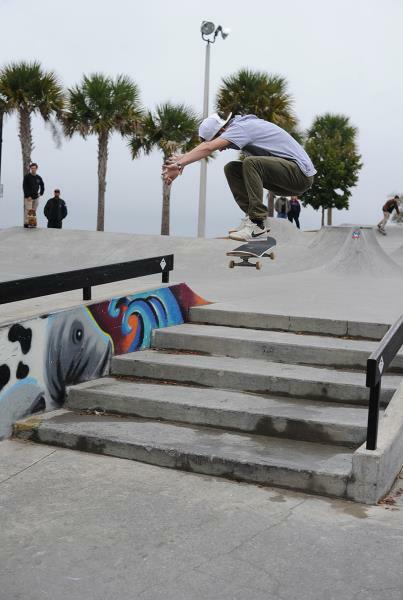 Alex Midler on a backside 360. Brandon's been at all The Boardr Am's, too. Nice one under the bridge here. 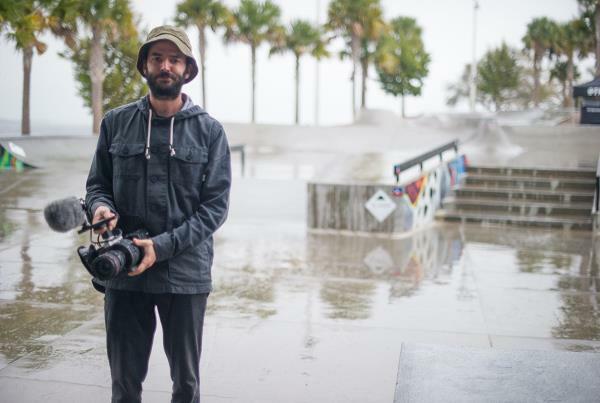 Brandon Martins on a hurricane. 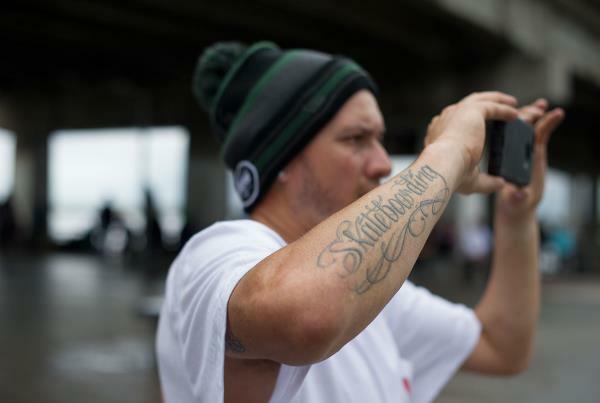 We've known Jake since he was a kid growing up skateboarding. James on a Cab down the stairset. 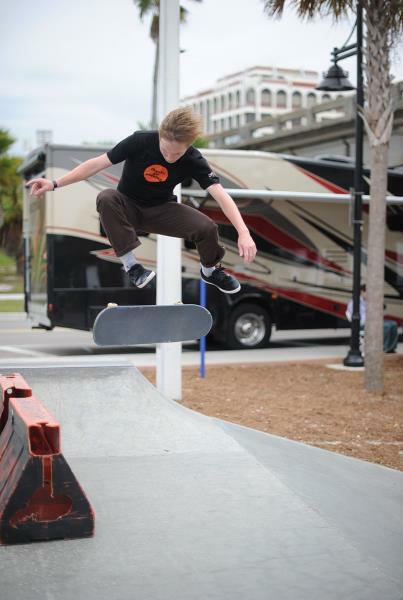 Josh on a switch flip. Marcos on a locked in hurricane. It felt like a hurricane was coming at times with this crazy weather today. 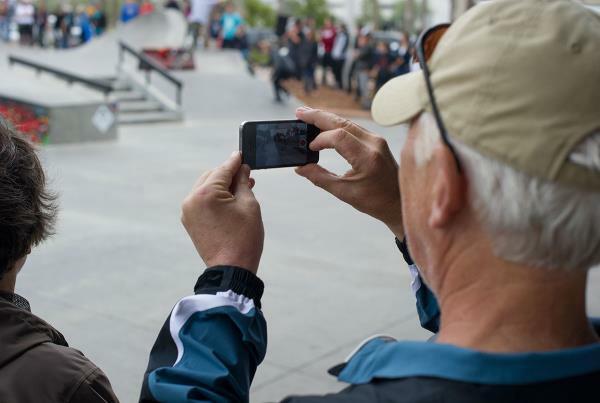 We've also watched Clint grow up skateboarding through all these events we do. 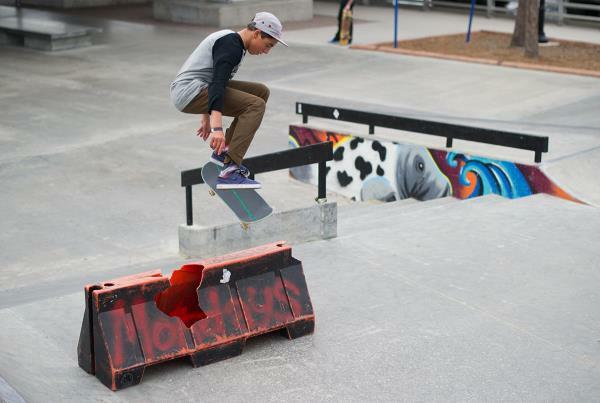 Now he's nollie flipping barriers. That shirt is from way back in the day when we used to do Damn Am. Thanks for everything. Looks like good seats up there. Watch for Nieratko's interviews on site. Don't get arrested. 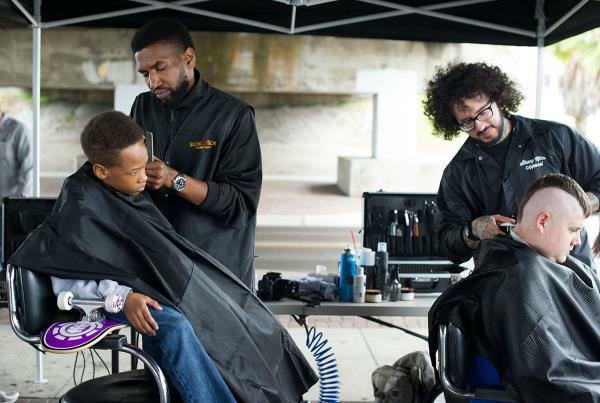 Kids were getting new skateboards and free new haircuts thanks to Second 2 None Barber Shop. 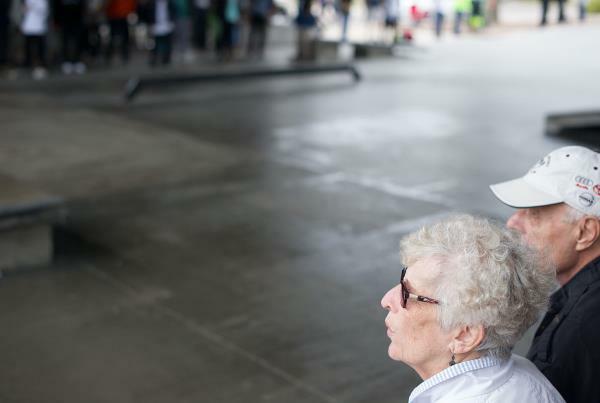 It's always nice to see supportive parents in the crowd, and grandparents. This is Florida, you know. Jereme on a backside ollie into the wind. Paul Hurtado has been to every one of The Boardr Am's, too. 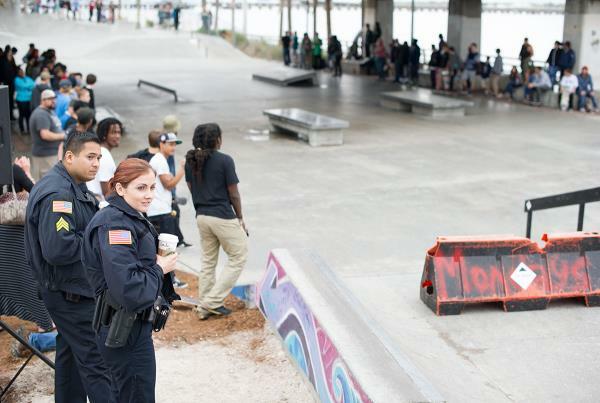 They're here to serve, protect, and watch damn good skateboarding. 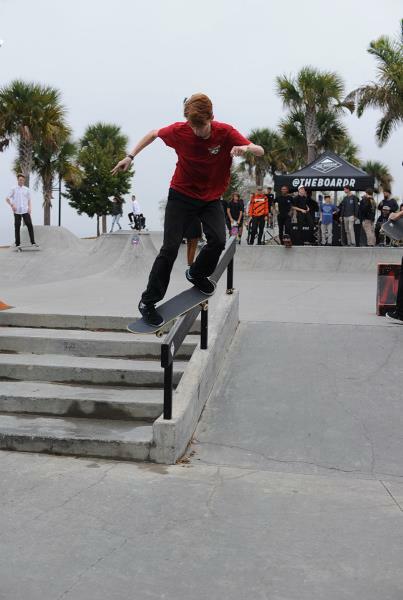 Jamie on a tough one, a fakie smith grind. Bring the family, kids, and even the doggies. It doesn't take a six pack to do this. 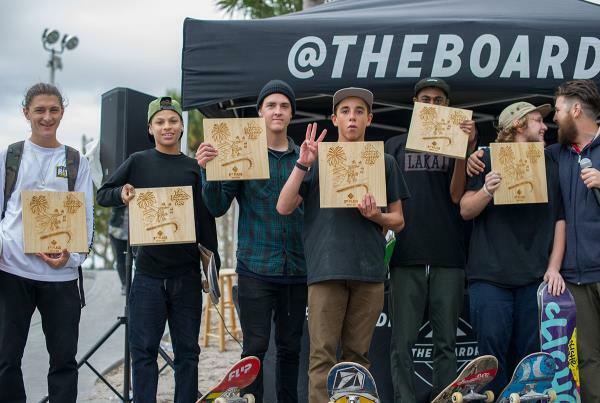 Top six in The Boardr Am at Tampa Bay stop. Body and Jamie getting personal.